Ralf was born in Weimar, Schiller´s and Goethe´s hometown. He studied at the Franz-Liszt-Conservatory of Weimar. After 1988 he specialized in acoustic guitar and started performing concerts with the well-known Edwin Sadowski. During that time he gained reputation as one of the greatest talents of the former GDR Jazz scene. In 1990 he founded his own trio, performing and jamming all over Germany together with Eberhard Weber, Markus Stockhausen, Trilok Gurtu, Agnes Buen Garnas, Rhamesh Shotham, Thomas Alkier, Prof. Ademola Onibonukuta, Kirstin Braten Berg, Chris Jarrett, Manuel Delgado, Sebastian Herzfeld, Wolfram Dix and many others. In 1994 he organised the festival One sky, one rhythm in Weimar. Other projects had been the indian music trio Ganpati with Tunji Beier and Zoltán Lantos, producing the first album "Silkroute". Ralf´s flexibility in connecting different styles and rhythms are result of his studies with Rama Mani in classical South Indian music at the Karnataka College of Percussion in Bangalore and of his work with oriental musicians like Mohamed Zinelabidine, Jorgos Psirakis and Michalis Klapakis. 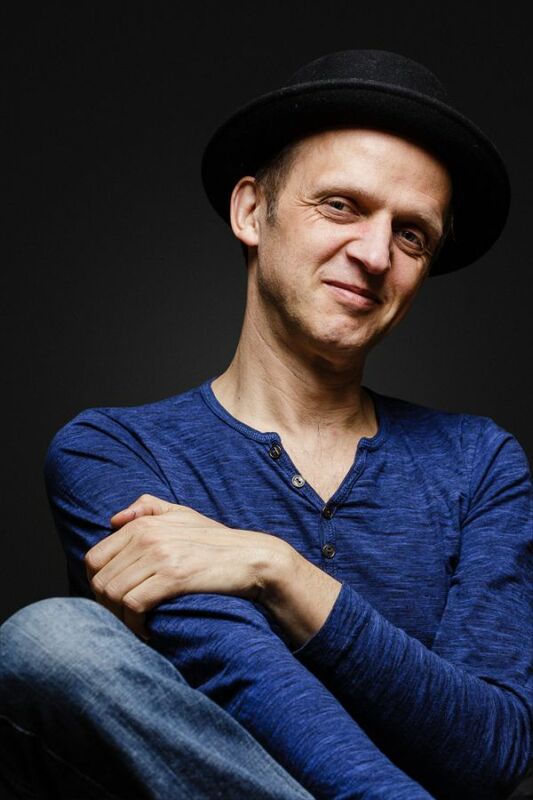 From 1996 to 1997 he worked as the musical director of the Thalia Theater in Halle, mainly composing and producing theatre-music what he is still doing like a freelancer for theatre and film. 1998 he founded with Flamenco-Guitarist Maunel Delgado "The Guitar Duo" and they made one duo records and on woth the "Karnataka College of Percussion and played many concerts in Europe, India and Tunisia. 2002 he released his own album "worldbeat". 2011 he released with Manuel Delgado and Ernest Martinez, the "Sin Distancia Trio", the album "Soleado"
2018 he founded with the ukrainian oboist Mykyta Sierov the project "Bosque Mágico" and released 2018 the debut album "Tu Tiempo".